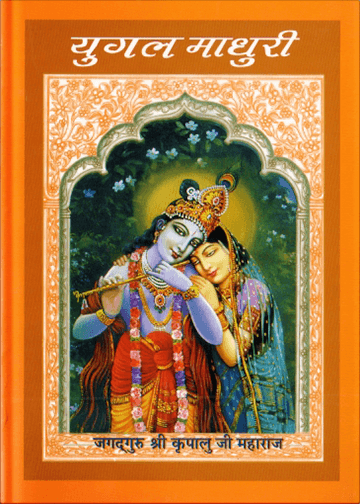 In these wonderful compositions Yugal Madhuri, Shri Maharajji has captured the essence of Braj Rasikas and revealed the out flowing nectar of the sweetest charms of the Divine Couple, Shri Radha Krishna. In these wonderful compositions Yugal Madhuri, Shri Maharajji has captured the essence of Braj Rasikas and revealed the out flowing nectar of the sweetest charms of the Divine Couple, Shri Radha Krishna. In these beautiful sankirtans, Shri Maharajji has not onlu described the beautiful leelas of our Beloved Shyama Shyam, but he has also revealed spiritual principles too, explaining in poetry form the true nature of Shri Krishna, Shri Radha and the importance of Guru. © Copyright 2018 JKYog. All Rights Reserved.